For those of you in the Greater Boston area, there’s something magical to see at the Tower Hill Botanic Garden. A variety of creative displays cover the whole garden, indoors and outside. It is so beautiful, cosmic and exhilarating to walk through at night. “Night Lights: Winter Reimagined” will be available to visit until 12/30/18 (must purchase tickets prior to going, timed tickets). I hope you can get there this year. If not, mark your calendar to book for November/December 2019 for their next awesome light show. 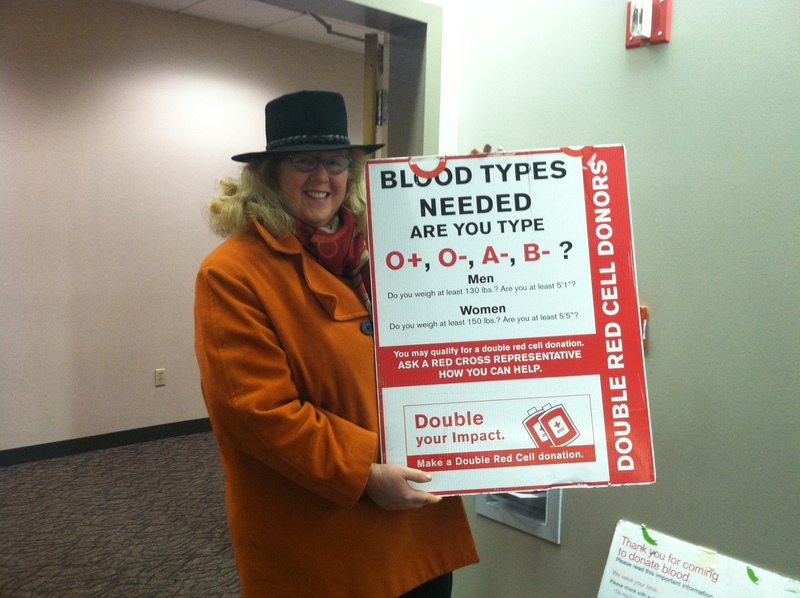 Lisa Wessan, advocating for blood donation at Red Cross. For most people, during the month of December we look for ways to give extra love, charity, dinners, trips, gifts, bonuses…we are in an intense giving mode. I wish for every dollar spent at the mall someone donated blood — saving approximately three lives per donation — now that’s massively good giving! What’s great about donating blood is that you can give it away every eight weeks, at the most, or any amount of times after that during the year. You can give at each seasonal equinox, or twice a year, whatever you donate, it’s all good. Each time I give blood I am reminded of the great mystery of our blood, and how it works tirelessly to keep us alive, coupled with the awe and wonder of the human body. Plus the amazing process by which the Red Cross extracts my blood and delivers it to someone who needs it — just astounding. So well done. Bravo! Kudos to the Red Cross for your exemplary service. So here’s your reminder that an opportunity awaits you…do you want to raise your self-esteem? Do estimable acts! Giving blood is a mood changer, uplifter and total Mitzvah blessing, in the full sense of the word. Go for it! Click here to find nearest donation center in USA. Excited! My quote is featured in 2011 Woman’s Advantage Calendar…. I’m excited that my advice was chosen from over 5,000 submissions to be featured in The Woman’s Advantage Shared Wisdom Calendar for 2011. My quote is one of 365 selected—one for each day of the year—and will be featured on January 16, 2011. My quote is “There are no perfect people here at Earth School, so let’s put the FUN back in dysfunctional! “ Find out more about this unique calendar at the Woman’s Advantage. Love this video….<a href="http:// “>scenes of New England with Cheryl Wheeler’s music.